It’s been a while since Robert Rodriguez made us feel like he was living up to the potential he displayed in the early “Desperado” days and then again with “Sin City.” (The less said about the latter film’s long-delayed sequel, the better.) Five years after that misbegotten follow-up, the filmmaker is showing signs of life again — albeit of the artificial variety. “Alita: Battle Angel” is his best film since he brought Frank Miller’s graphic novel to the screen, a sci-fi epic that does something rare in an age of endless adaptations and reboots: lives up to its potential while leaving you wanting more. An adaptation of Yukito Kishiro’s manga “Gunnm,” the film takes place 300 years after the Fall — one of those sci-fi apocalypses you always hear whispered about in films such as this, usually in vague terms that ensure the big reveal at the end catches you surprise. “Alita” is the kind of movie whose backstories take as long to explain as their actual narratives, but Rodriguez does well to keep the overt exposition to a minimum — in part because his heroine is a cipher who doesn’t even know her own name when first we meet her. 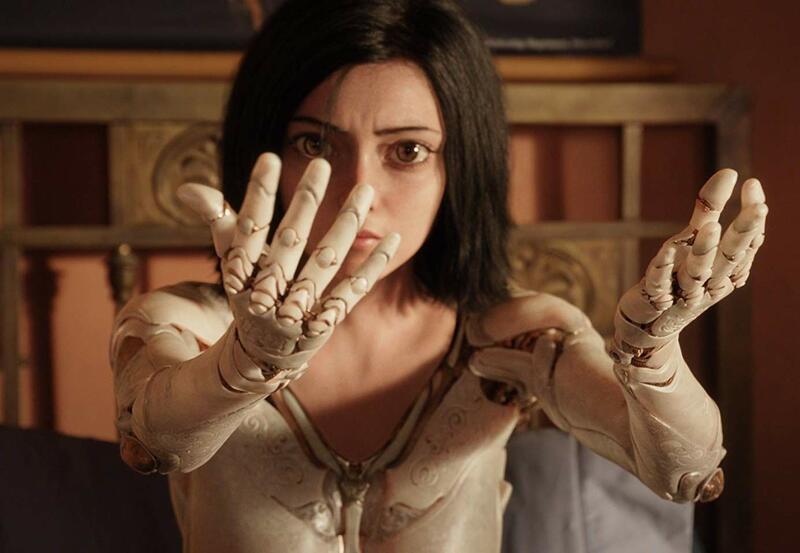 Like a female cross between Pinocchio and Frankenstein’s monster updated for the space age, Alita (Rosa Salazar) is discovered in a scrapyard one fateful day by Dr. Ido (Christoph Waltz), a cyber-surgeon with a soft spot for innocent creatures whose bodies — whether real or mechanical — have failed them. She couldn’t tell you who she is or where she hails from after being brought back online, but quickly realizes that she can kill anyone who crosses her path with her bare hands.